Serve with with some plain yogurt on top (predictable, I know) and some crackers or blue corn tortilla chips for dipping! You’ll be set to start training for next year’s Turkey Trot in no time! …Too bad the Christmas treats are just around the corner. Except not really too bad. Heaven. 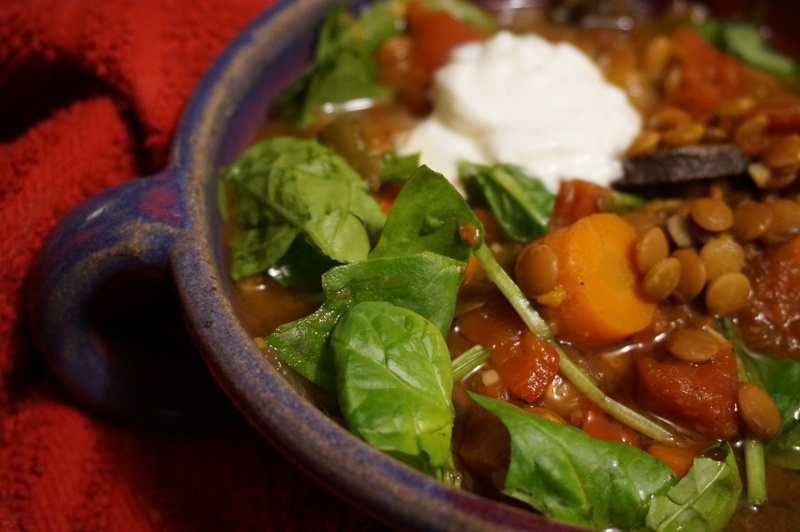 A hearty post-Turkey Day stew that will fill you up without weighing you down! Also a great way to use up leftover Thanksgiving veggies. Combine all ingredients up to balsamic vinegar in crock pot. I like to put the potatoes and carrots on the bottom since they take the longest to cook! Set to low and simmer all day (I let mine go about 8 hours and then turned it down to warm). About half an hour before serving, add the vinegar, pepper, salt, and greens (if desired). 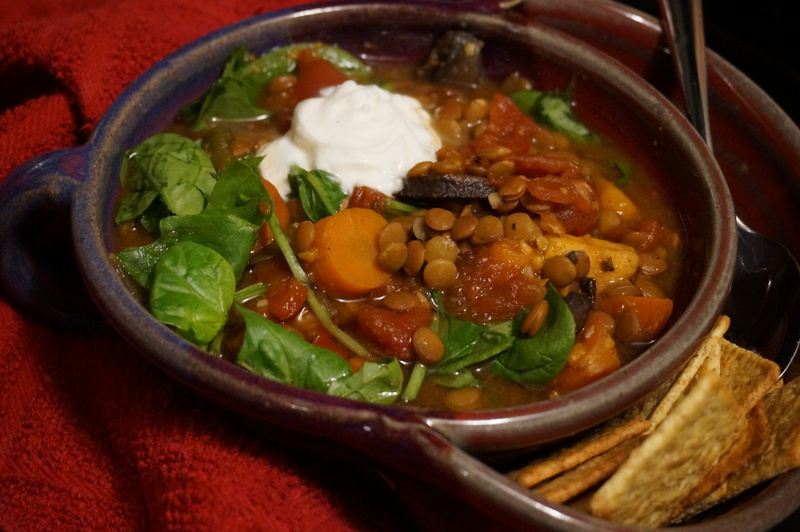 Serve with a dollop of plain Greek yogurt and some crackers on the side. “Facing the Facts About Fat:” A Post from the RD!